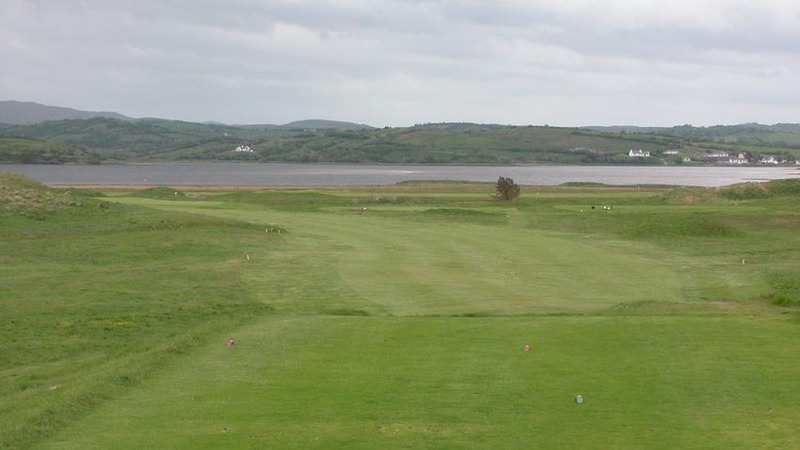 A magnificent welcome awaits in the bright and cheerful clubhouse at Ireland’s Donegal Golf Club, located out on the Murvagh Peninsula near Donegal town, suggesting none of the immense difficulty you are about to encounter on this challenging and beautiful course. 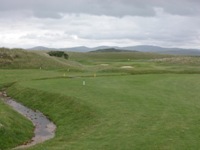 One of the longer tracks in Ireland, Donegal Golf Club is somewhat of a hybrid in that the front nine is traditional links, with a particularly memorable stretch from the 5th to the 8th, while Donegal’s back nine is more inland in flavor, not quite links and not quite parkland, with hazards and features from both styles of golf. 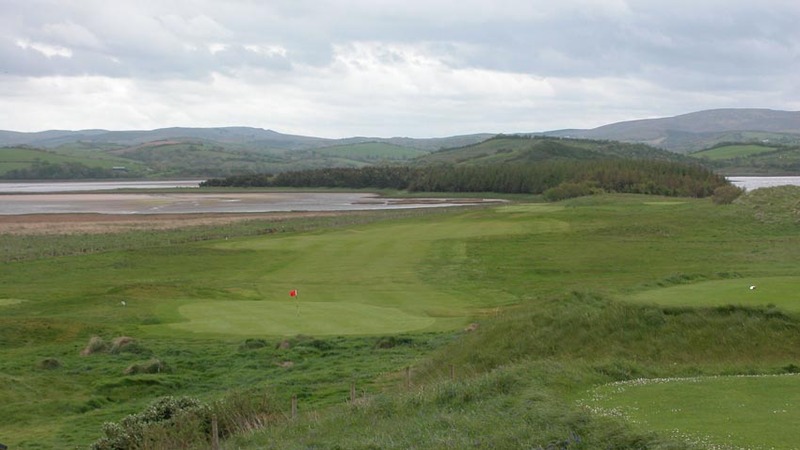 Donegal Golf Club’s most famous hole is the “Valley of Tears” par-3 5th, a lengthy carry over the valley to a beautifully situated but tough-to-hit green nestled in the dunes. 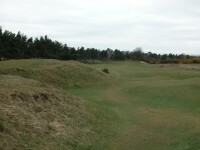 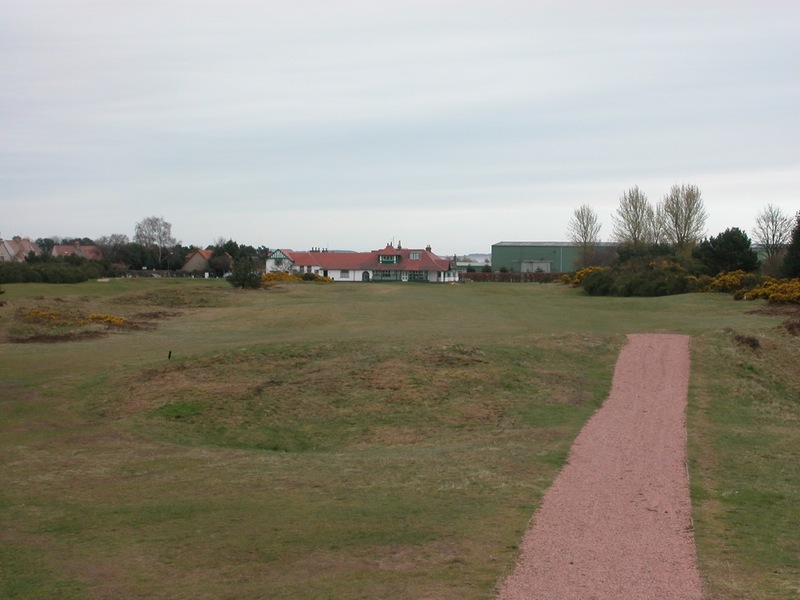 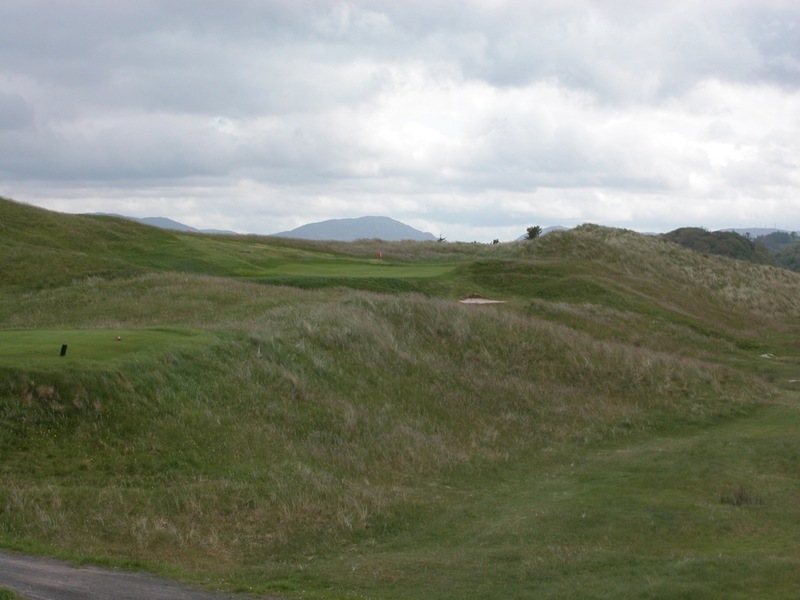 Pat Ruddy has been brought in to shore up the back nine, and has made terrific use of a natural burn to make for some more highly memorable holes. 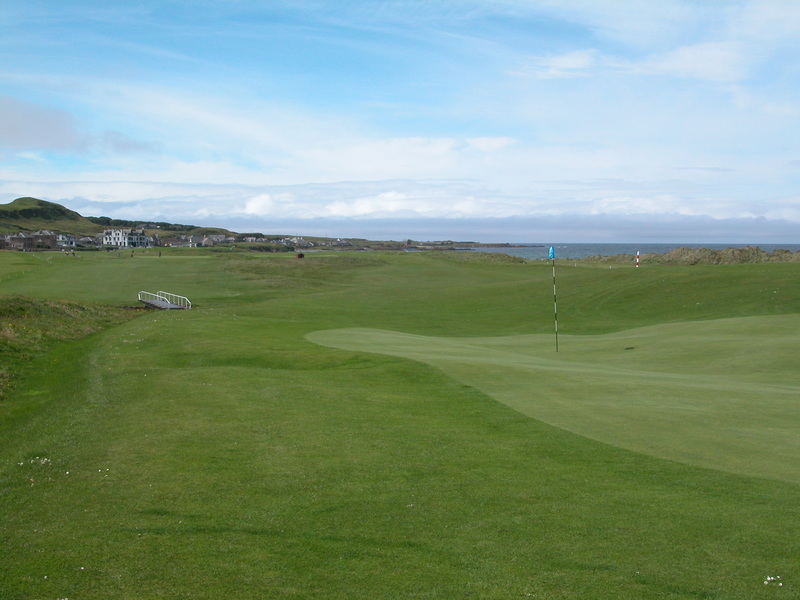 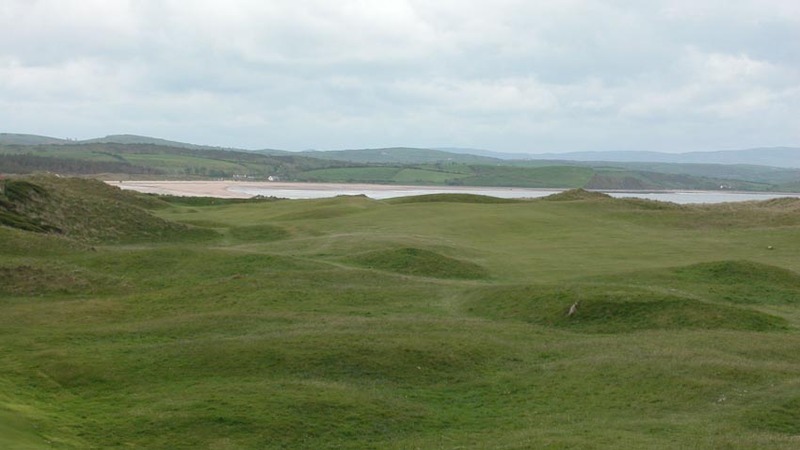 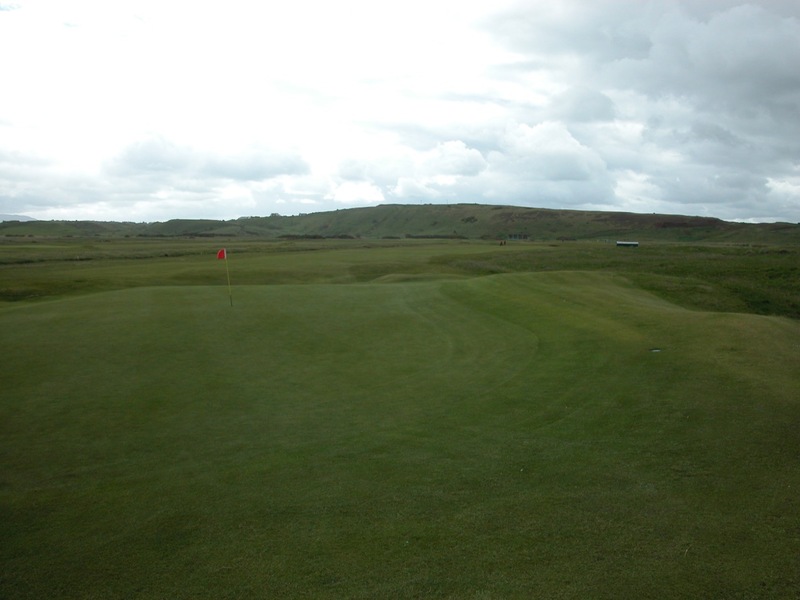 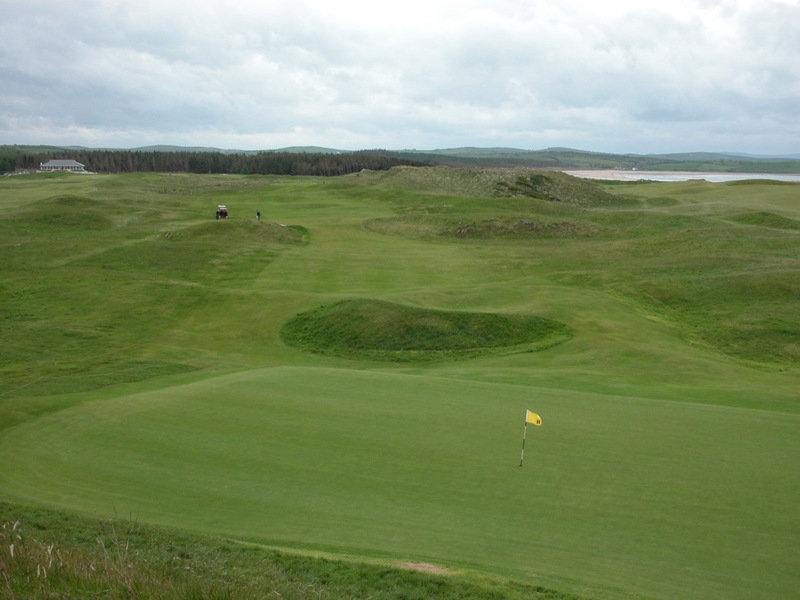 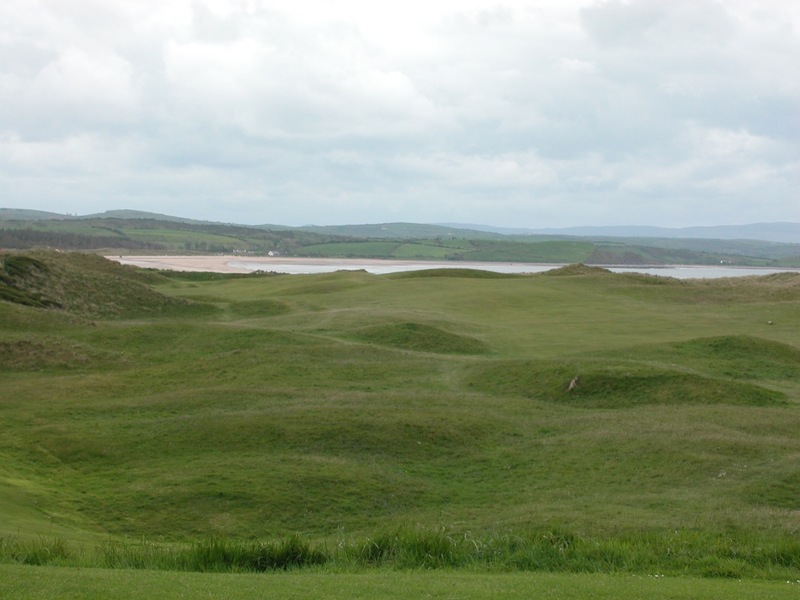 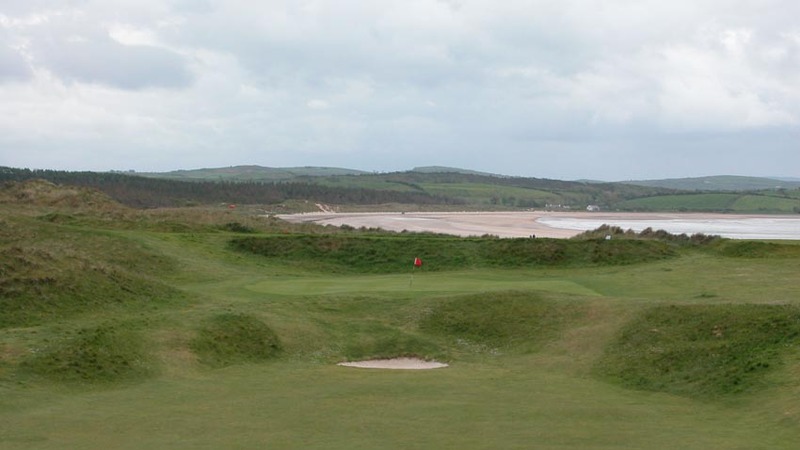 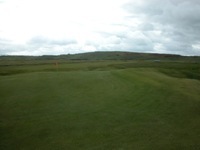 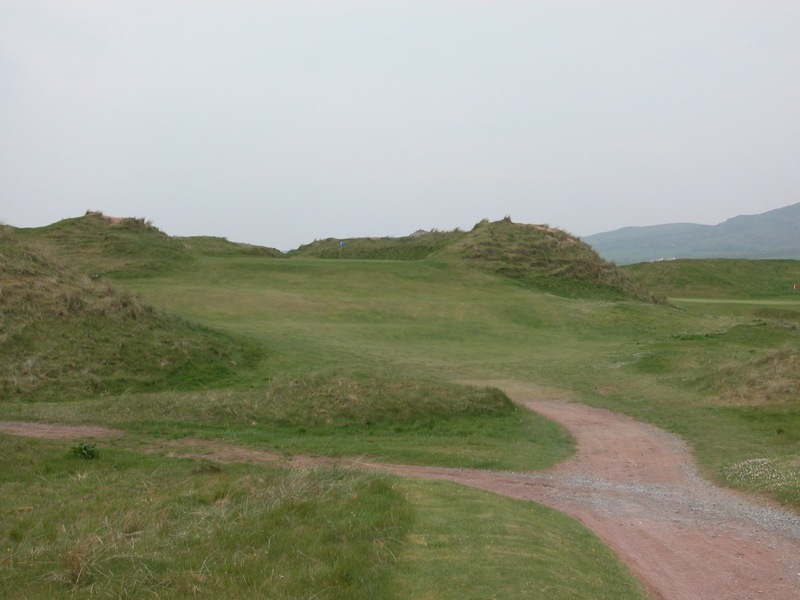 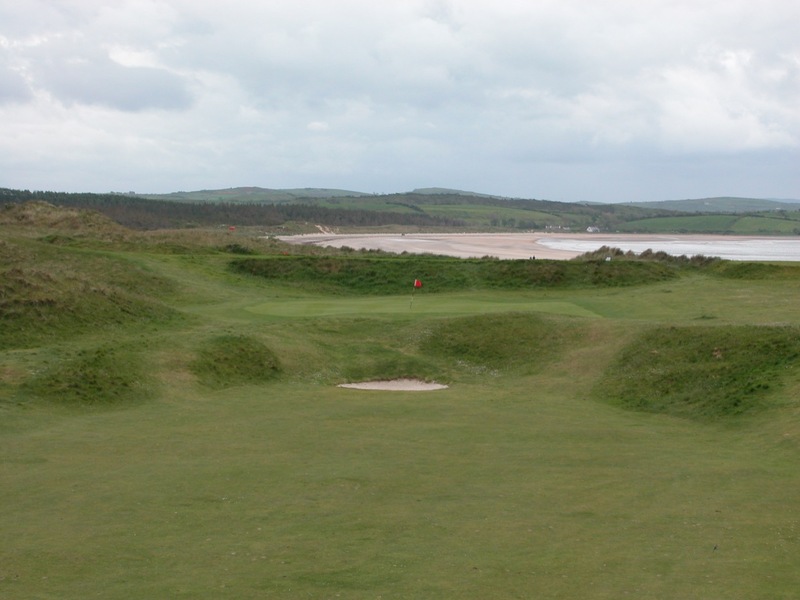 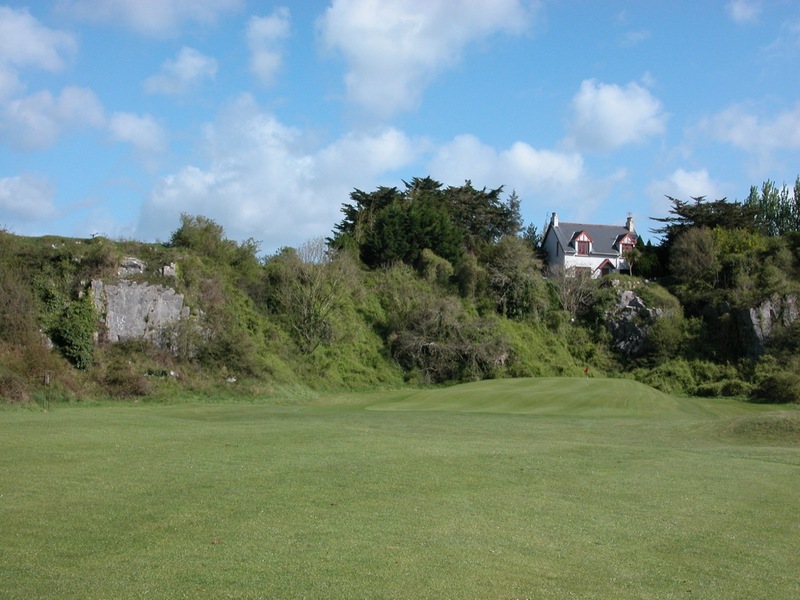 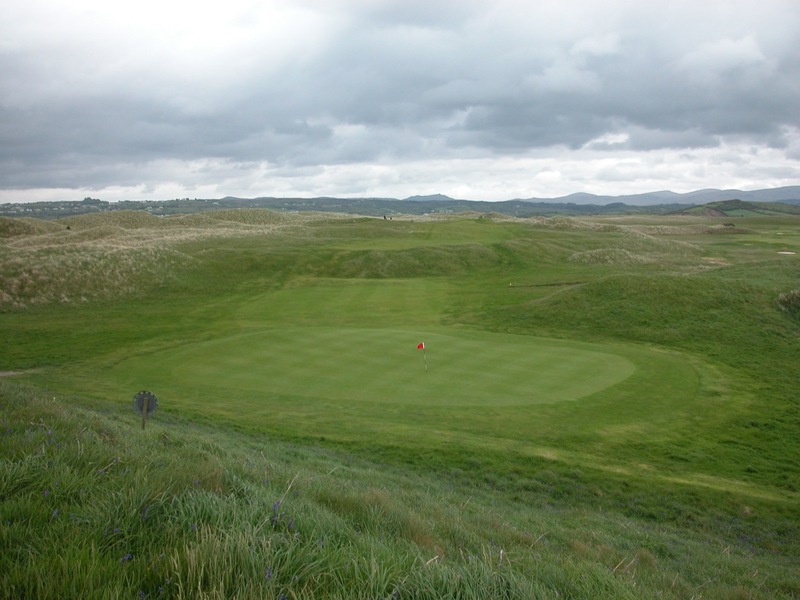 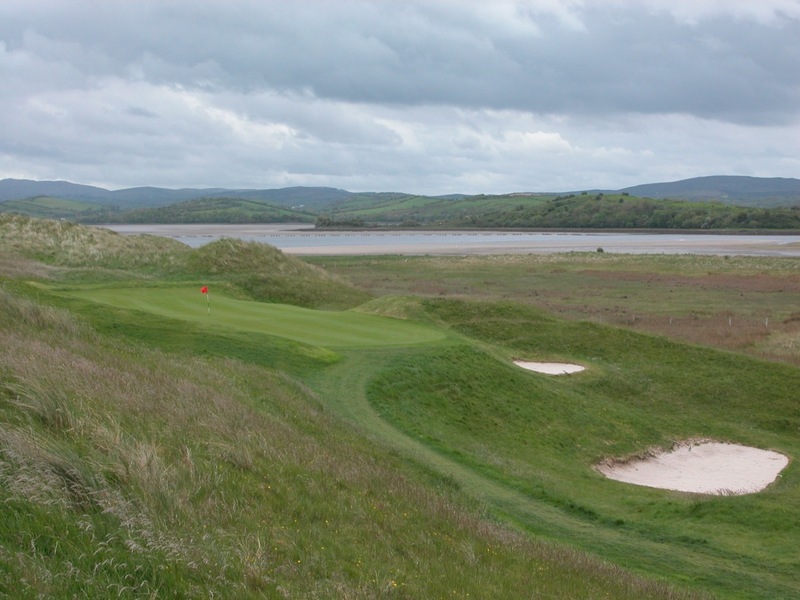 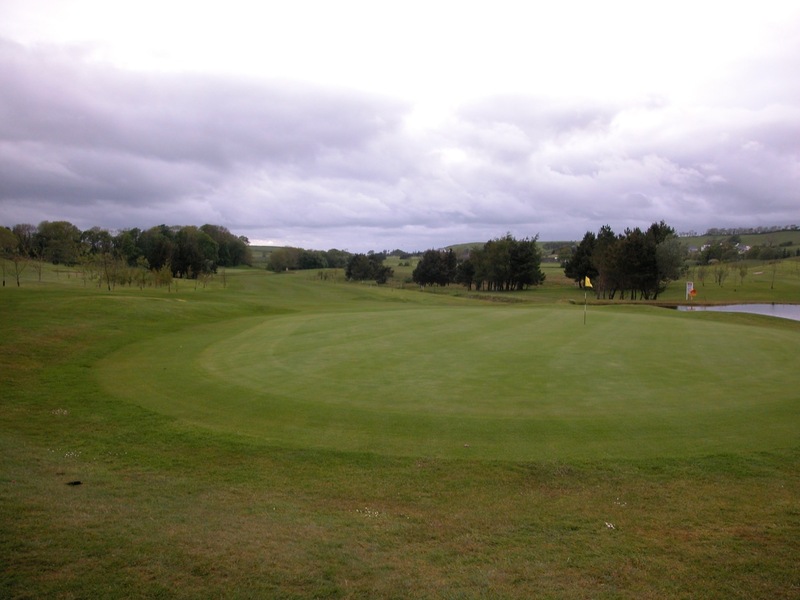 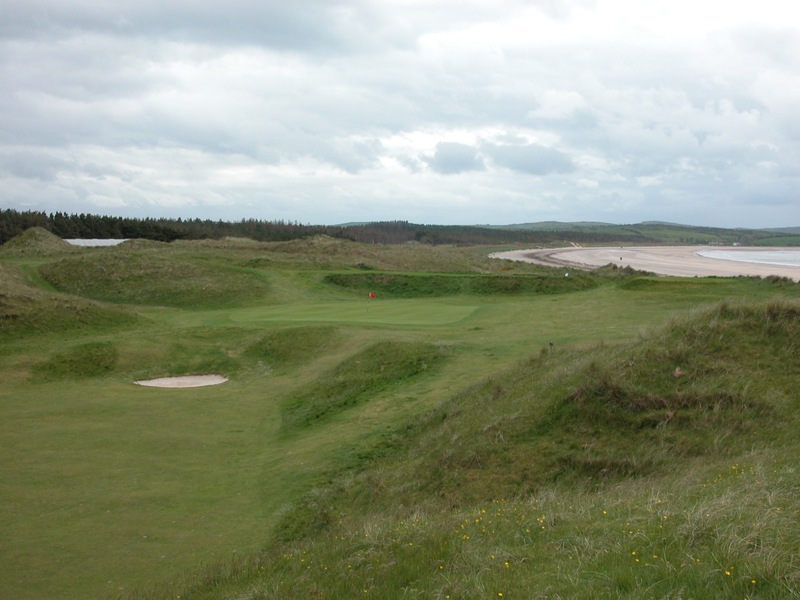 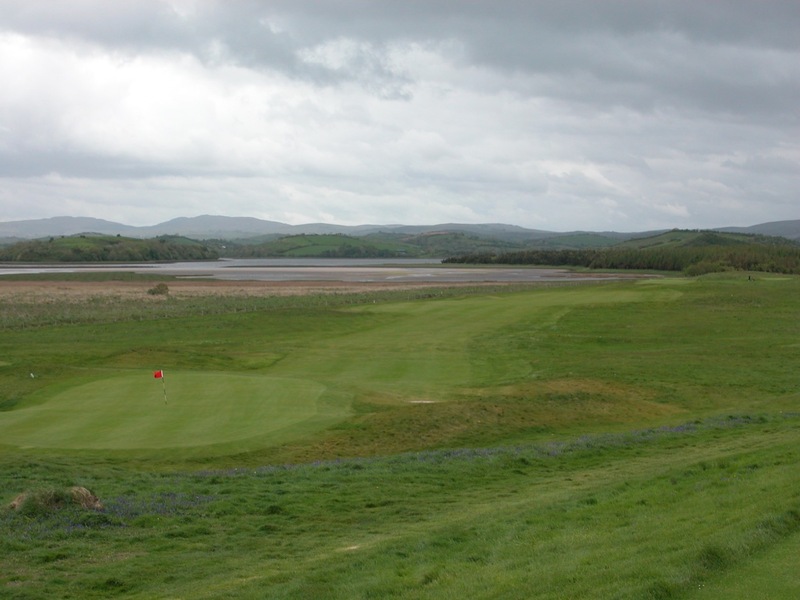 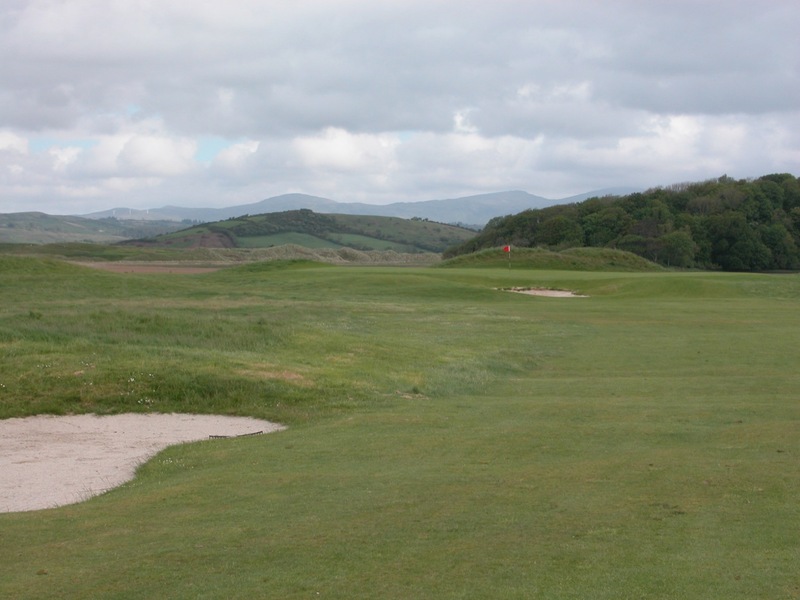 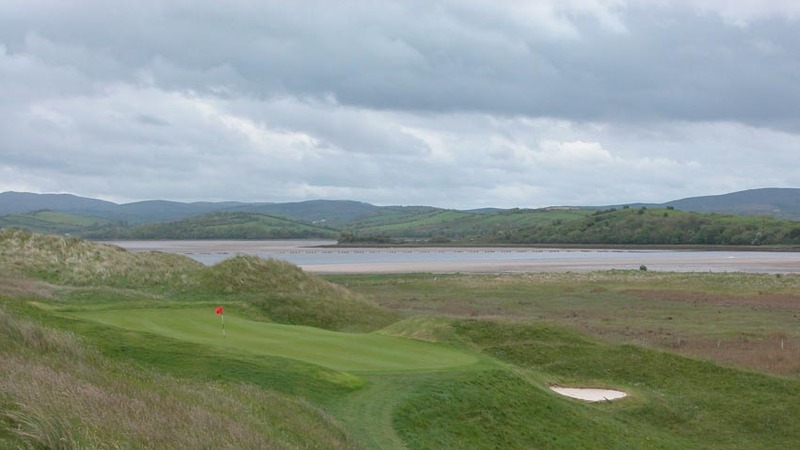 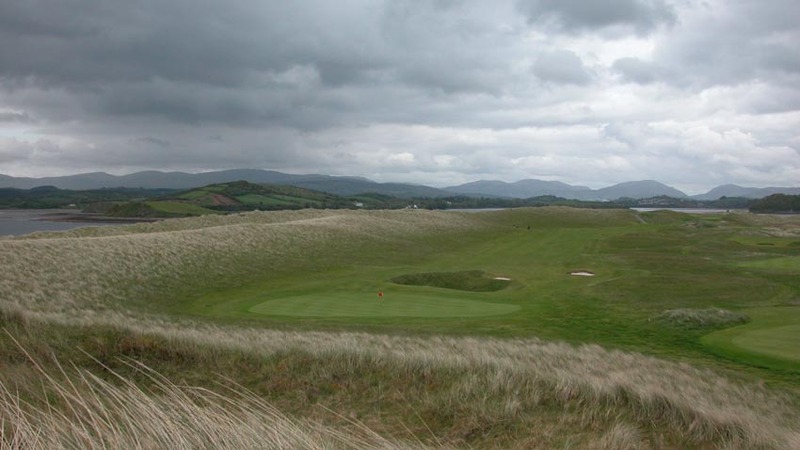 Sitting right in the middle of one of our favorite clusters of golf in Ireland, Donegal Golf Club is an ideal “home base” for playing other great Northwest Ireland links like Ballyliffin, Narin & Portnoo, and County Sligo.